Please be advised that sandbags are available at the Water Tower located on Eisenhower Street between San Antonio and Fairground. Please come prepared to fill the bags yourself. You will need to bring a utility bill or a picture I.D. to show that you are a resident of Rio Grande City. 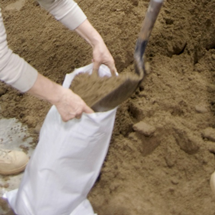 Limit of six sandbags per household.